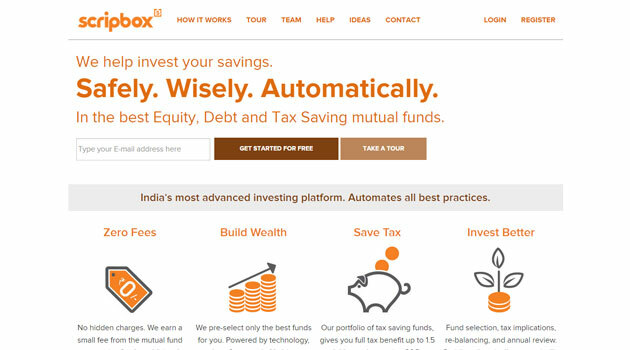 Bangalore-based Scripbox.Com India Pvt Ltd, which runs an online fintech portal Scripbox, has raised Rs 16 crore ($2.49 million) in its Series A round of funding from Accel Partners and a group of angel investors, the company said on Wednesday. MakeMyTrip co-founders and top brass Deep Kalra, Rajesh Magow and Mohit Gupta also participated in the funding round alongwith other angel investors Shamik Sharma (Myntra) and Subba Rao Telidevara (former partner with PE firm Actis). The company will use the money for consolidate its presence and expand its customer base. "Scripbox adopts a consumer-centric, and practical approach to building long term investing habits. This platform will play a significant role in influencing the way people manage their money and make it grow," said Subrata Mitra, partner with Accel Partners. Founded in 2012 by IIM Bangalore alumnus Sanjiv Singhal and Atul Shinghal, Scripbox is an online mutual fund investment platform. Singhal has over two decades of experience in finance and technology and has worked with Herald Logic before co-founding this venture. Shinghal has over 18 years experience in credit cards, home loans, banking, insurance and mutual funds space and is also the CEO of Probe Equity Research, currently. "Scripbox simplifies personal finance for the common man. By being transparent, jargon free and easy to adopt, we take away the fear from investing. This funding will help us expand our operations so even more people can benefit from our services," said Singhal. In 2012, Scripbox had raised seed funding of Rs 4 crore from Accel Partners and Balakrishna Adiga (IT Industry Veteran); H S Nagaraja (educationist) and S Sriniwasan (CEO, Kotak Realty fund). This is the fourth investment by Accel this month and adds to more than two dozen deals by the VC firm in the country since January this year, according to VCCEdge, a research platform of VCCircle. Accel India Management Co. Pvt. Ltd. Scripbox.Com India Pvt. Ltd.